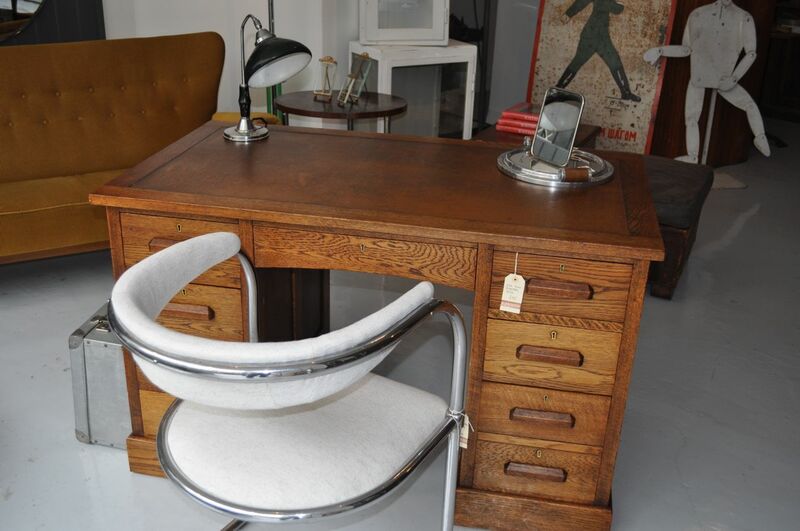 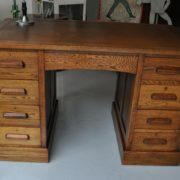 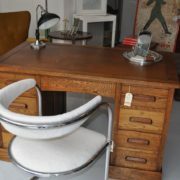 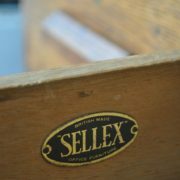 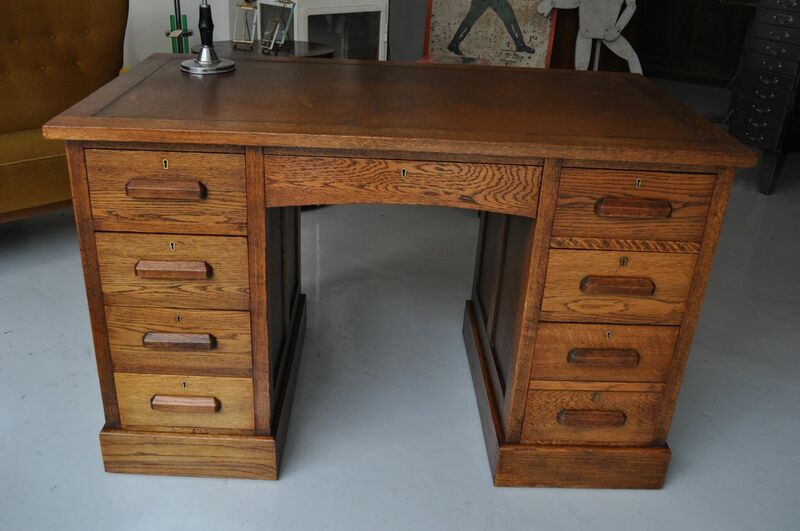 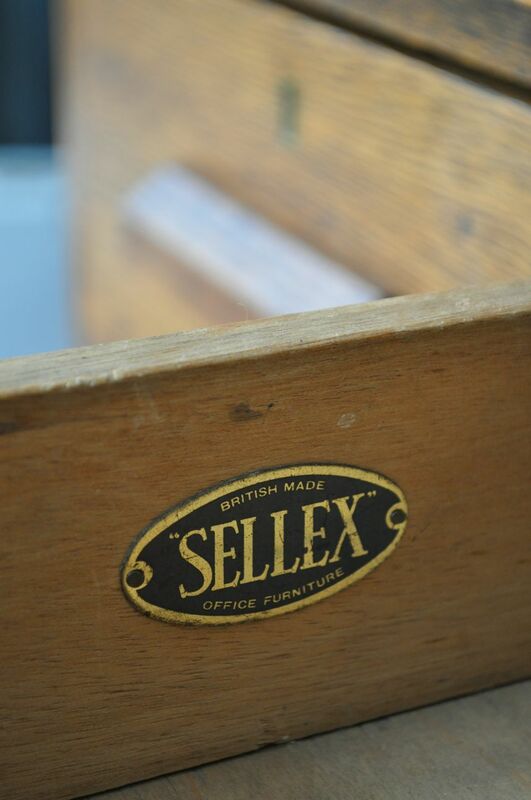 British oak twin pedestal desk, with original rexine top, and maker's label to drawer interior. 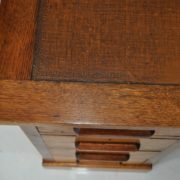 The top and centre pieces can be removed for easy delivery. 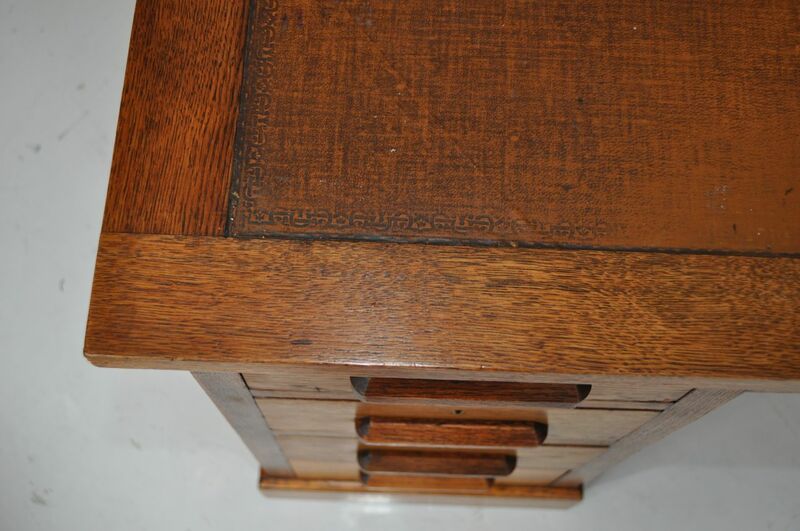 All drawers run well, and all the original locks are present so it would be easy to have a key cut if required. 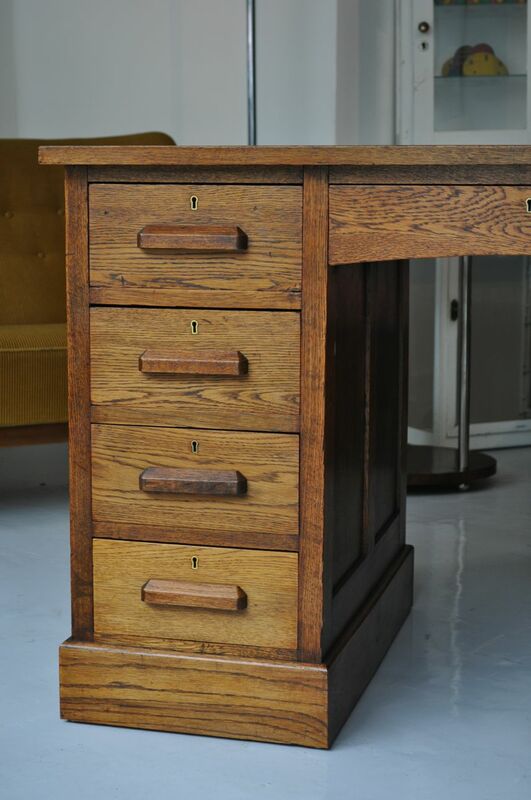 The lower right hand drawer is double-height, to allow for storage of files.